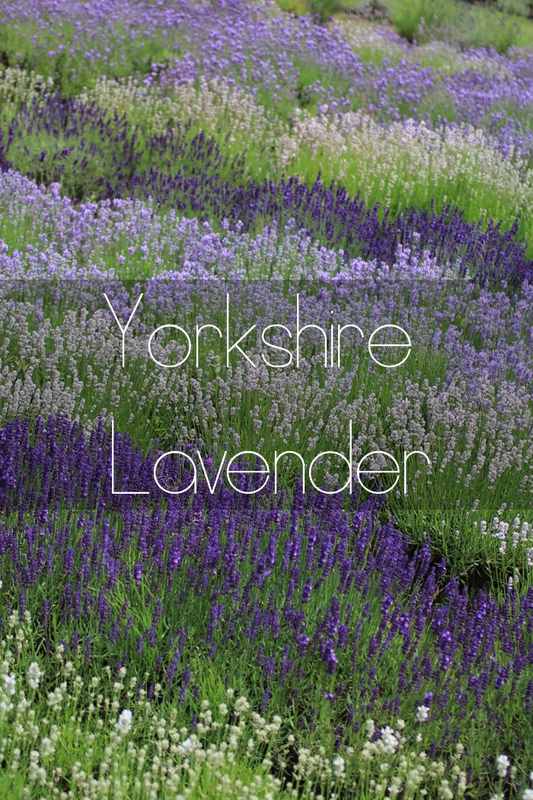 Yorkshire Lavender, situated just north of York, is a beautiful place to visit on a warm, sunny summer afternoon when all of the flowers are in bloom. 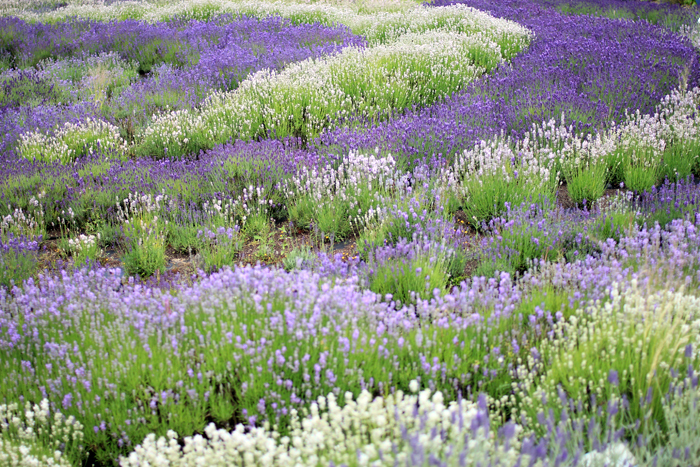 Swathes of different hues of purple and white lavender created the most striking organic patterns. They're dotted with bees and butterflies and the wonderful, distinctive scent lingered on the breeze. 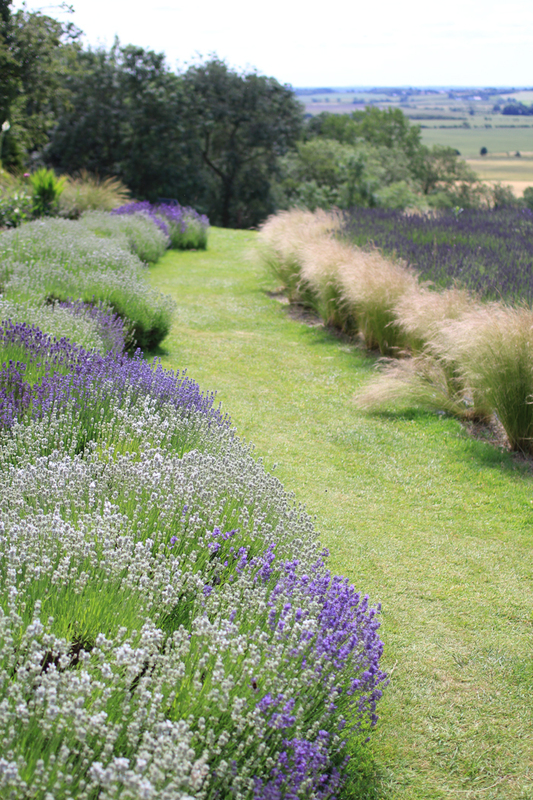 Paths in between waves of lavender and pony tail grass, lead as if straight out to the far horizon. 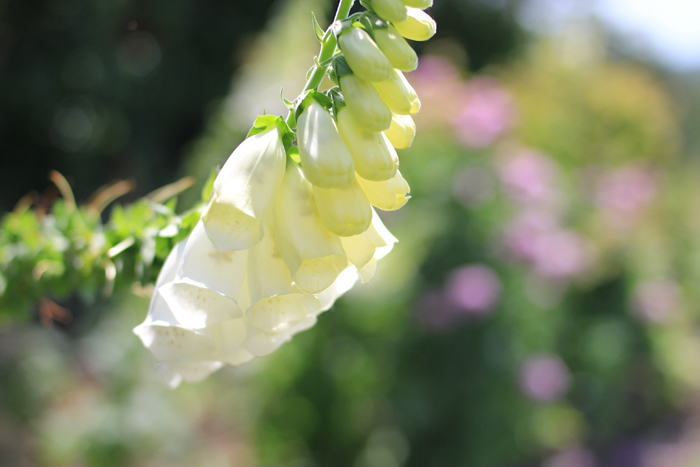 Other blooms are planted around the lavender in beds boasting poppies, foxgloves, peonies and so many more. Tiny walkways are scattered throughout the flower beds and are wonderful to stroll through. The garden centre is a herb-lover's dream. Mint of every variety you can think of and more, thyme, oregano, basil and edible flowers. I was certainly surprised to only come away with three types of mint for my ever growing collection, those being ginger, lavender and banana. Tricolour violas and lemon verbena also made their way into my shopping basket. 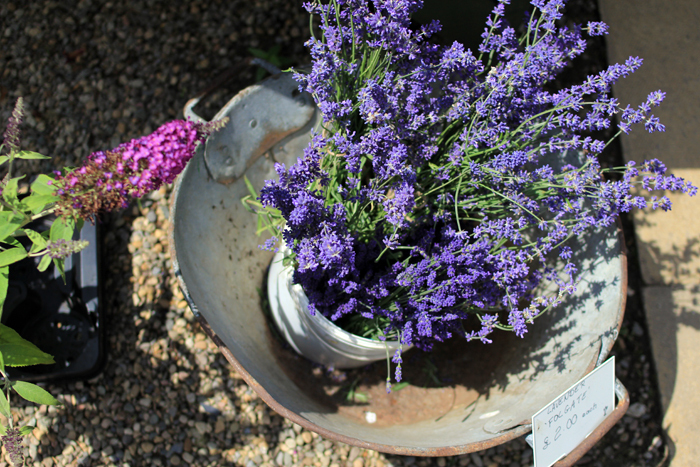 Of course there were a multitude of lavender varieties to choose from as well. 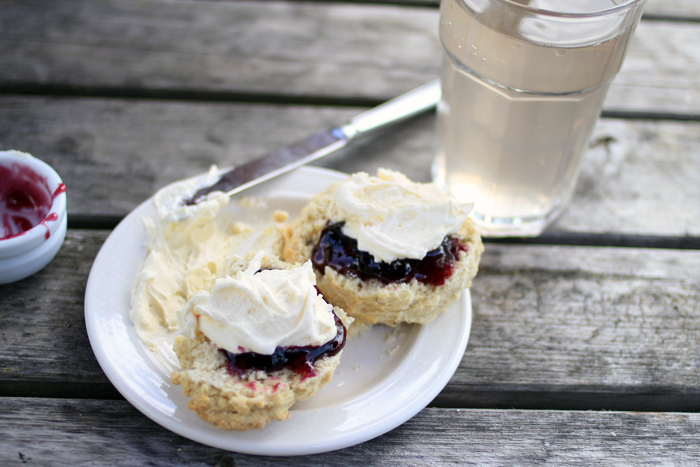 After having wandered the grounds and enjoyed the sights of deer, sculptures and plants, we set up on a picnic table and indulged in afternoon tea under the shade of the umbrella. Fluffy lavender scones with lavender cream and a blueberry and lavender conserve, with lavender lemonade. A lot of lavender, but not overwhelming or vaguely soapy. We sat enjoying the beautiful view and were even lucky enough to see a stoat scurry across the path beside us. It was tranquil, beautiful and a lovely way to while away an hour or so in the summer sun. 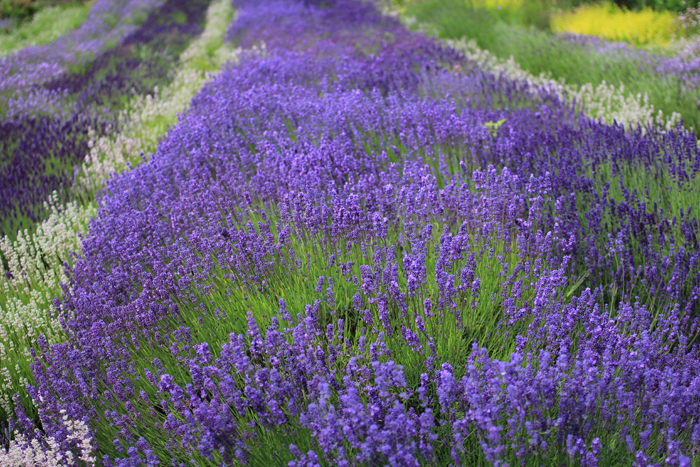 Beautiful photos, as always :) There is something special about lavender. Not only is it really beautiful in all its simplicity - it smells wonderful too! And those scones sound amazing. Making my mouth water! This sounds like bliss! I'm a bit obsessed with lavender at the moment, throw afternoon tea, herbs and deer into the mix and I'd pretty much be in heaven :) Your photos are beautiful. I can only imagine how heavenly this smells! I love the different shades of purple in that field! 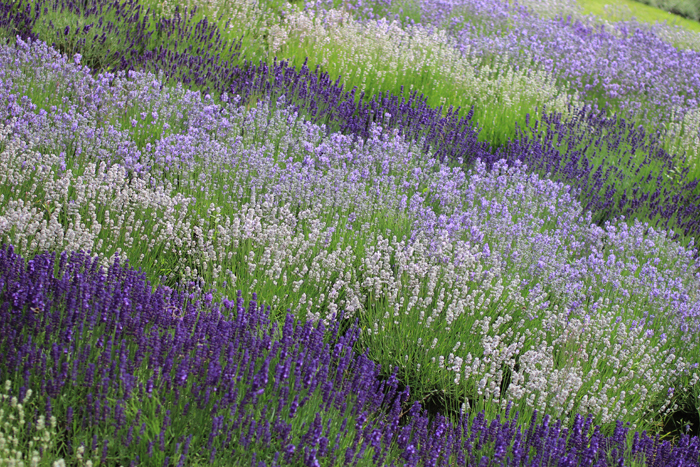 I have yet to experience lavender fields in person, but I am keen on trying out some lavender-flavoured baking. Absolutely gorgeous photos as always, I love your photography, you have such a way of capturing nature that's so soft and dynamic. Love love love! PS. That scone looks delicious! This looks absolutely heavenly! And not at all reminiscent of lavender farms I was dragged to as a child! Your photographs are just lovely :) I'm off to find a local farm.... !!! 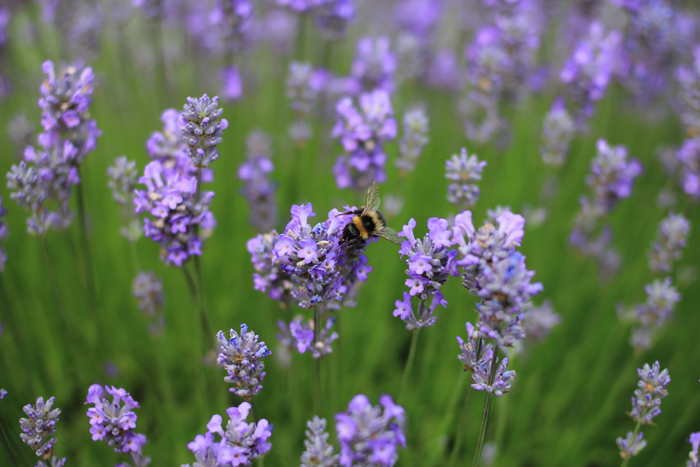 Wonderful post, I'd love to see some English lavender, I've only ever visited the Lavender fields of Sault in Provence (well worth a trip, by the way! ).